The fact that our hair turns grey is really our own fault. We make ourselves grey. I'm not saying we worry ourselves silly and the people with the greyest hair are the biggest worriers, but we are the culprits of our hair-greying-ness. The reason is a little unusual – but at the same time so logical that it makes perfect sense. Because every person is a chemical factory. We produce chemicals. You, me, every person alive is a veritable chemical factory. 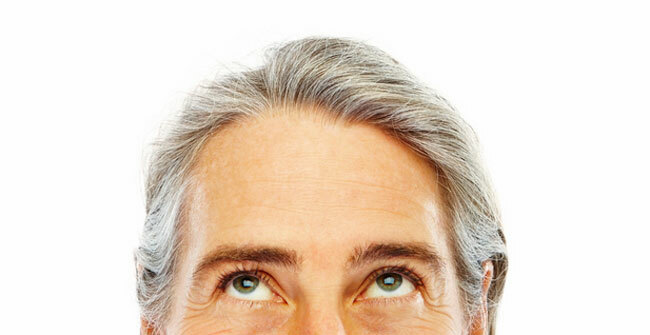 Without even trying, we make our hair turn grey by producing a chemical that removes the color from it. 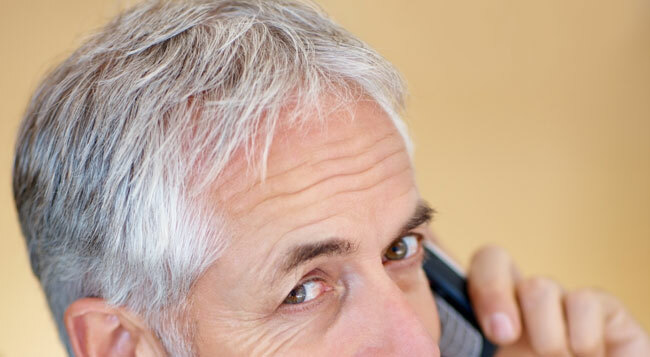 It builds up in our hair follicles as we age. We are all effectively bleaching our own hair from within. We do this by producing hydrogen peroxide. You are 100% correct if you immediately think of hair bleach. It is indeed the very stuff your hairdresser uses to bleach hair. Who would have thought we make our own from within? But there's some newer stuff too. A study from 2011 led by Dr. Mayumi Ito at NYU Langone Medical Center showed that Wnt signaling is an essential key to why hair has the color it has. Wnt is a network of proteins that passes signals from receptors to receivers within our bodies: a kind of cell-to-cell communication network. (read more here at Wikipedia). It also determines why our hair is red, black, or blonde. ..We discovered Wnt signaling is essential for coordinated actions of these two stem cell lineages and critical for hair pigmentation." And now that they know, they can start studying related hair mysteries: maybe Wnt signaling is also key to hair loss and thinning. Perhaps in the not too distant future they will be able to 'tweak' Wnt signaling and guarantee everyone healthy hair that never greys, thins or stops growing. And if We No Longer Have Grey Hair to Hide? If that happens, it stands to reason that the beauty industry will start developing and selling hair coloring products 'so you can achieve a natural-looking grey', and hair thinning products 'so you can achieve 'natural looking bald areas'. Interesting stuff... communication really is the key to everything (even on a cellular level). The Nordic Swan Label - Can it Be Trusted?